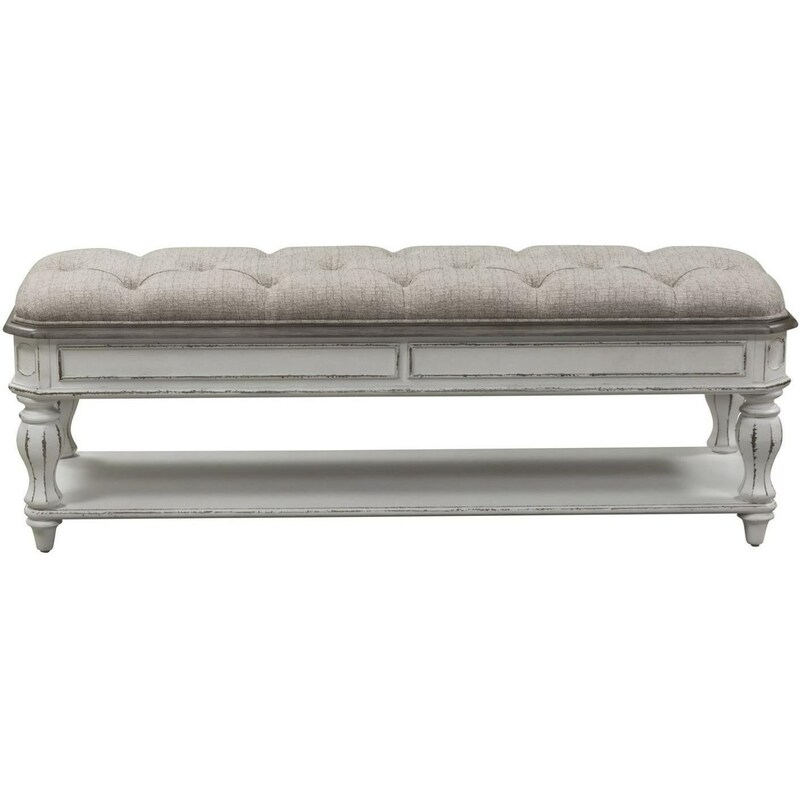 Bring some stylish casual seating to your bedroom with this upholstered bed bench. The upholstered button tufted seat adds some comfortable extra space to relax on as you get ready to tuck yourself into bed every night. 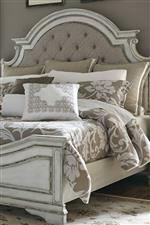 The Magnolia Manor Traditional Upholstered Bed Bench by Liberty Furniture at Miskelly Furniture in the Jackson, Pearl, Madison, Ridgeland, Flowood Mississippi area. Product availability may vary. Contact us for the most current availability on this product.